Season Three of the Next Iron Chef premieres this Sunday, October 3rd at 9pm ET/PT. I love all things Iron Chef, so I'll definitely be parked in front of the TV that evening. Go Ming Tsai! 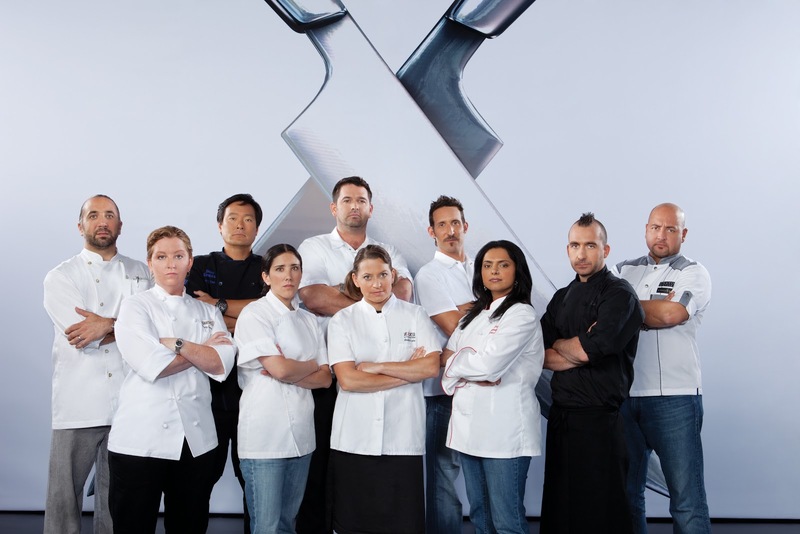 In the season three premiere of The Next Iron Chef, 10 of the country’s best chefs arrive in Los Angeles to compete for the chance to join the most elite culinary society: the Iron Chefs. Host Alton Brown greets them with a test of ingenuity, the first of seven tests each focused on an important Iron Chef attribute. With bread as the Secret Ingredient Challenge, the chefs must create sandwiches that represent their personalities. Next, the threat of elimination looms in the Chairman’s Challenge as the chefs find themselves cooking on a beach each with the one ingredient they would want to have if stranded on a desert island. The competition heats up, and the judges send the first contender home. Thanks for the reminder - I'll DVR that! I just got a notice from AT&T today that they have not worked out a cable deal with FoodTV! If they can't work it out, as of Halloween - I'll have no Cooking Channel, FoodTV, or HGTV - how horrible is that?! I can't decide if I want to watch this season or not. Maybe I'll just rely on some Minxy recaps and save myself an hour a week. You watch so I don't have to...thanks hon. Wendi - I'm watching, but I'm not recapping. Sorry!